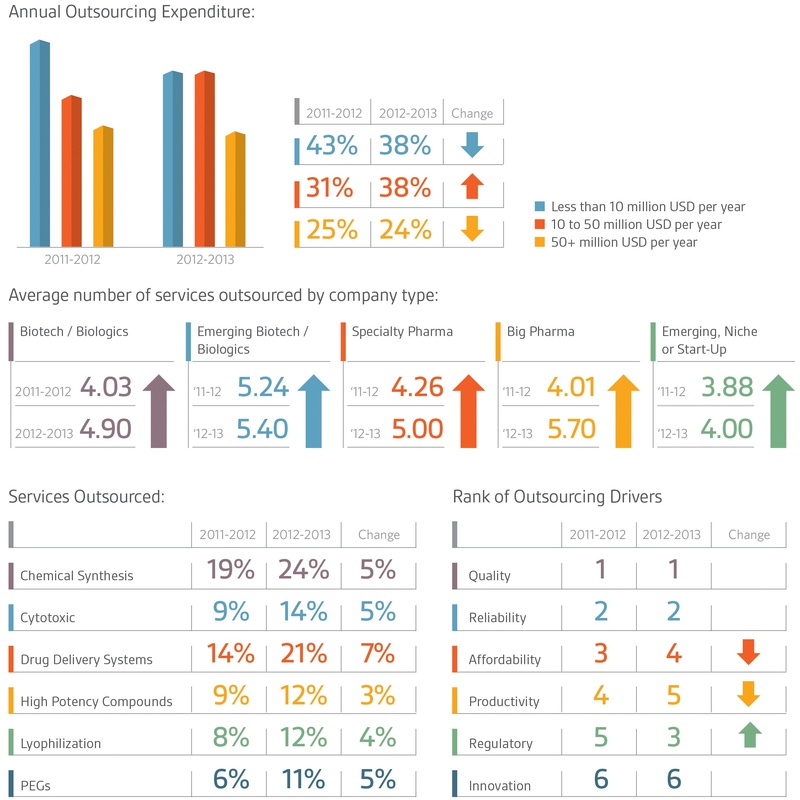 Since Nice Insight’s first pharmaceutical and biotechnology outsourcing survey almost four years ago, the data has shown a steady incline in outsourcing. This comes in many forms, from increased outsourcing expenditure, higher percentages of respondents outsourcing various manufacturing services, reported increases in the number of projects outsourced each year, as well as the number of unique services outsourced. These changes reflect a shift in thinking as well. Not long ago, outsourcing elements of drug development was thought to be an option, one that could help reduce fixed costs and expedite time-to-market. But now, as 2013 winds to a close, outsourcing some aspects of drug development is virtually a requirement. As this practice evolves, the desire for stronger relationships moves front and center, especially since trusting a third party with your compound/product can be both anxiety inducing and tricky —particularly when it is a first time collaboration between two parties. So how do you know which CMO to select for a project, let alone a long-term partnership? Fortunately, research shows that the time when the bidder with the lowest price would win the project was short-lived, and other metrics now take priority over affordability. In fact, only nine percent of respondents who outsource small molecule manufacturing said they select the provider with the lowest cost from their shortlist. Thirteen percent who outsource biologics manufacturing indicated the same. After identifying your company’s goals in forming a strategic partnership with a CMO, opt for referrals from industry peers who share a similar ideology on outsourcing. Additionally, affordability dropped in rank from third position in the 2011 to 2012 study to fourth in the 2012 to 2013 research. Make no mistake, it is a good thing that price isn’t the most influential deciding factor for CMO selection, as cost-based bidding wars are dangerous for patients, scientists, the environment, and others. When companies try to slash costs to win projects and still turn a profit, the corners cut can put us all at risk — not just the project at hand. Furthermore, strong relationships — an essential basis for strategic partnerships — don’t usually form on an unbalanced foundation, where one party wins a great bargain and the other barely covers its expense. After all, when you collaborate, both parties receive value beyond the exchange of goods or money. While various businesses have varying approaches to outsourcing, Nice Insight research shows that across all buyer groups there has been an increase in the percentage of respondents who expressed they are “very interested” in forming strategic partnerships with CMOs, up 8 percent from 24 percent in 2012 to 32 percent in 2013. One of the key challenges we have observed in the industry is the absence of a set of hard traits, or quantifiable characteristics, that define the nature of a strategic partnership between a drug innovator and a CMO. Instead, strategic partnering tends to be outlined by a collection of softer traits, or nonmeasurable characteristics that impart a feeling rather than checklist facts. The absence of hard traits can cause some issues when courting potential partners or frustrations when working with a company that was well reviewed and referred from a colleague who had different expectations and needs from their outsourcing relationship than your company. Thus, the first step in identifying potential CMOs for a strategic partnership is to establish a clear explanation of the goals of the collaboration, and then detail how these goals are different from the goals of a tactical or preferred provider relationship. 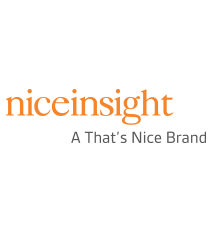 When Nice Insight surveys buyers of outsourced services, we present the concept of a strategic partnership accordingly: a long-term, win-win commitment between two organizations for the purpose of achieving specific business objectives by maximizing the effectiveness of each participant’s resources. This can serve as a starting point, but once the shortlist of suppliers has been established, it is crucial to fill in those “specific business objectives” with explicit and measurable milestones. The same goes for the resources each party will bring to the relationship, and gaining an understanding of what it is going to take for each party to consider the relationship a “win” is essential. After identifying your company’s goals in forming a strategic partnership with a CMO, opt for referrals from industry peers who share a similar ideology on outsourcing. If your company uses consultants or has procurement staff, it is important to share the outsourcing objectives and goals so that everyone is working toward the same purpose. Laying the foundation for a true collaboration, which contributes to an environment of mutual giving, is where long-term savings will develop. Then, it is time to seek out information on CMOs to see which companies may align with those goals. Start with investigating how the company is perceived in quality, reliability, regulatory track record, productivity, and innovation.